This week, almost 1,000 B2B marketers are shipping up to Boston for the MarketingProfs B2B Forum, which will take place Oct. 18-21. Ann Handley, MarketingProfs’ Chief Content Officer, and team have put together another conference full of powerful speakers, who will cover everything from content marketing to SEO to account-based marketing. In this session, keynote speaker and best-selling author Andrew Davis will discuss how amazing content has become “table stakes.” The secret to making this content stand out is from strategically promoting and distributing it. Janet Driscoll Miller, President-CEO of Marketing Mojo, will delve into which SEO ranking factors matter most for B2B marketers. She’ll also share a case study and identify the tools needed to measure SEO performance on your website. Want to create a product demo video that stands out like those from Blendtec or Volvo Trucks? Of course, you do. Doug Kessler, Creative Director and Co-Founder of Velocity Partners, will share some ideas that you can steal to make product demos that rise above the everyday. Three agency leaders — Jim Beretta, President-CEO, Customer Attraction; Matt Heinz, President, Heinz Marketing; and Bob Ruffolo, Founder-CEO, Impact Branding & Design — share the lessons they have learned about running a successful marketing agency in the content marketing era. 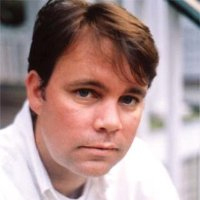 In this session, Chris Moody, Content Marketing Leader at GE Digital, will demonstrate that even small companies that are strapped for resources can still produce effective content marketing. Moody will share the lessons he’s learned at companies that range from startups to Fortune 100 corporations. Mitch Joel, President, Mirum, will examine how messaging bots, live video, augmented reality and other groundbreaking movements are in the process of transforming marketing. Joel will show why harnessing these new technologies are quickly becoming a business imperative. Jason Miller, Group Manager-Content Marketing, LinkedIn Marketing Solutions, will make dozens of entertaining rock and roll references in explaining his approach to building an owned media empire — an owned media empire that can help your company dominate the upper funnel conversation in your industry. He’ll also show how owning this conversation can deliver powerful ROI in the lower funnel. For fast-follow takeaways and event shenanigans coverage, follow us on Twitter @LinkedInMktg and subscribe to our blog.